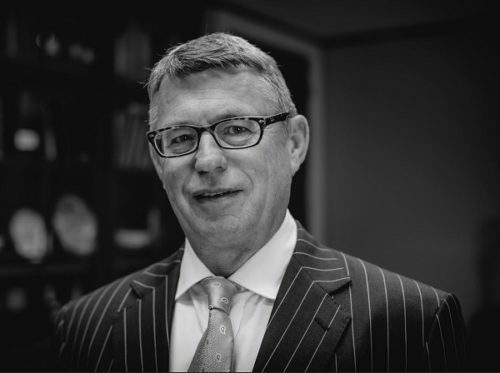 Peter is listed in Doyle’s Guide as one of the three Leading Senior Counsel practicing in Industrial Workplace Safety, a listing resulting from peer-based surveys as well as interviews with clients, peers and relevant industry bodies. He has acted as an expert appointed to resolve contractual disputes and acted in litigation to resolve Corporate and other Partnership disputes. He has regularly participated in the mediation of commercial disputes. Peter’s professional practice has specialised in advocacy in general commercial law, corporate management, equity, confidential information, passing off, anti-discrimination law, insolvency, consumer protection, real property, body corporate and community management litigation, occupational health and safety law, mining, coal seam gas related litigation, Coronial Inquiries and Inquests, major building and construction and engineering disputes, defamation and some commercial criminal trial work. He has appeared in many substantial defended prosecutions of alleged breaches of coal mining, coal seam gas and other related and other health and safety laws. He has wide experience in coal mining, petroleum, coal seam gas and other related mining commercial litigation. Peter has acted for and advised clients operating in the coal, gas petroleum and metallurgical industries, including Ministers. ​Peter has had advisory participation in numerous safety management reviews. He sits and has sat as a member of Queensland Civil and Administrative Tribunal in the Human Rights division for more than 6 years. He was previously a member of the Queensland Anti-Discrimination Tribunal for 6 years. He sat in Appeals at the Public Service Commission. He has appeared as a Prosecutor in trials on indictment. He has had other significant involvement in commercial disputes involving participants in the mining industry, joint venture disputes, building/construction cases and engineering failure.